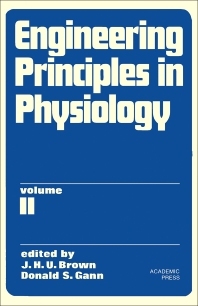 Engineering Principles in Physiology, Volume II covers the mechanisms of cardiovascular systems, respiration, and cellular processes. This volume is organized into three parts encompassing 17 chapters. The first part describes the structure, function, mechanical properties, circulation, and control of the cardiovascular system. This part also examines the mechanism of cardiac pump, the atrial electrical activity, and the venous system. The second part explores the interrelationships between the morphology, physiology, and control mechanisms of respiration. This part also considers the mathematical theory of renal function. The third part looks into the cellular dynamics and intracellular processes. This book will prove useful to physiologists, biomedical engineers, and workers in the related fields.